Alibaba’s secret weapon is its payment division. Yet Alipay isn’t part of the Chinese e-commerce company’s upcoming initial public offering. The company is “conceptually” thinking about reuniting them, according to people familiar with the situation. But the status quo, however strange, looks better. Founder Jack Ma spirited Alipay, which handles 79 percent of purchases on Alibaba’s sites, into a vehicle he controls in 2011. His reasoning was that regulators planned to introduce tough rules for payment operators with foreign investors. But the rules never materialised. Rather than put Alipay back, Ma struck a deal. The payment unit pays 49.9 percent of its pre-tax profit to Alibaba and gives it preferential terms on commissions. If Alipay is floated or part-sold later, its former parent gets cash equivalent to 37.5 percent of the unit’s value, up to $6 billion. Today, that arrangement looks attractive. Though Alibaba’s Chinese sites account for just over a third of Alipay’s total transactions, the e-commerce group still gets half the division’s pre-tax profit. The only snag is that Alibaba’s cash payout is capped. Alipay, which made almost $230 million of pre-tax profit in 2013, could soon reach the point where that $6 billion looks light. Changing that needn’t mean a cash deal. Alibaba could swap its future claim on Alipay’s IPO proceeds for an equity stake of the same size. Work the deal out now, and it might help bump up Alibaba’s IPO price. But politics is a reason not to proceed. Chinese regulators have encouraged Alipay to disrupt the traditional banking and payment system. That would be harder if foreign investors openly shared the spoils. Alibaba would also have to negotiate with Ma, its own chairman. It would be hard to convince incoming investors a deal was done on truly impartial terms. That makes the simplest course the best: to leave well alone. The most valuable thing for Alibaba is the preferential rates it gets on the billions of transactions it runs through Alipay. Those are safe for 50 years. The risk is that Alipay turns into a real giant, and Alibaba misses out on a windfall. But on balance, a status quo that investors can quantify is better than a stake in a privately held company, and a heap of political risk, that they can’t. 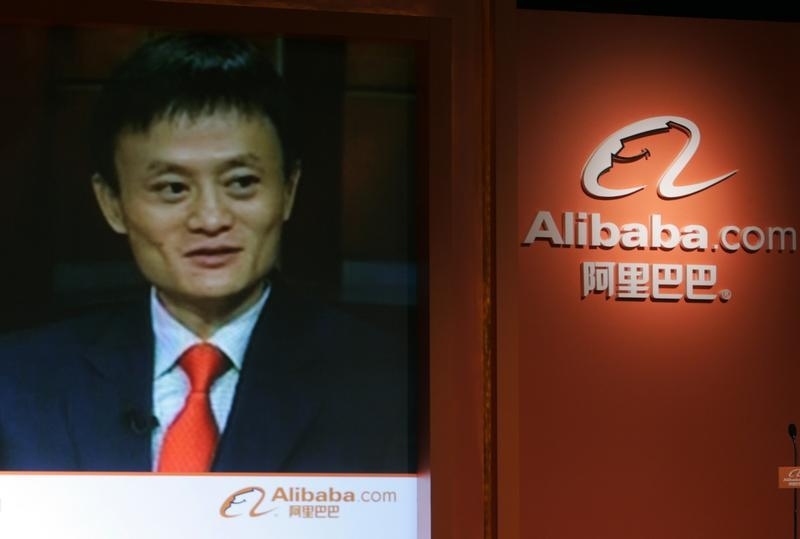 Alibaba Group filed for an initial public offering in New York on May 6. Its payment division, Alipay, handled 79 percent of the transactions on the Chinese e-commerce group’s websites in 2013, but will not be part of the company being listed. Founder Jack Ma removed Alipay from Alibaba’s control in 2011, in response to a suggestion that China’s financial regulators would introduce tougher rules for payment operators with foreign investors. Those rules never materialised. Yahoo, which now owns 23 percent of Alibaba, subsequently struck a deal with under which Alipay would pay 49.9 percent of its pre-tax profit to its former parent, and give Alibaba preferential terms on the commissions it charges to process transactions for at least 50 years. Alibaba will also get cash equivalent to the value of 37.5 percent of Alipay’s equity in the event that the payment division lists or sells a major stake. Under the terms of the agreement, the payment will be at least $2 billion and will be capped at $6 billion. Alibaba paid 2.3 billion yuan ($377 million) of commissions to Alipay in calendar 2013, the IPO filing showed. Its share of Alipay’s pre-tax profit was 712 million yuan. Transactions on Alibaba’s Chinese platforms accounted for 37.6 percent of the total payment volume handled by Alipay in 2013. Alipay is part of the Small and Micro Financial Services Company, controlled by Ma, which also holds a 51 percent stake in fund manager Tianhong. Alipay users can transfer funds into a special Tianhong money market fund through a platform called Yu E Bao. Funds under management more than doubled during the first three months of 2014, to 542 billion yuan.